The #1 Lumbar Support Brace On The Market! 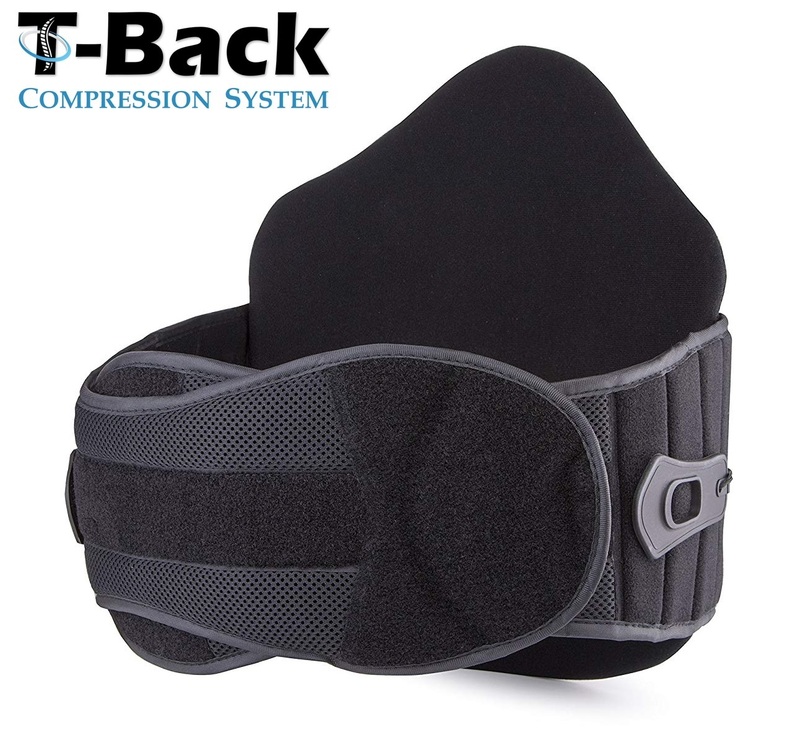 The T-Back Compression LSO Back Brace System is a universal lumbar-sacral orthotic brace with lateral panels for even greater support and stability that more basic and economical back braces simply do not offer. It features a universal sizing system that fits nearly all patients with one brace, dramatically reducing the hassle of shopping for specifically-sized braces. Its easy-to-use pulley system and pull tabs make it easy to achieve optimal compression for effective pain relief, even for patients suffering from arthritis. 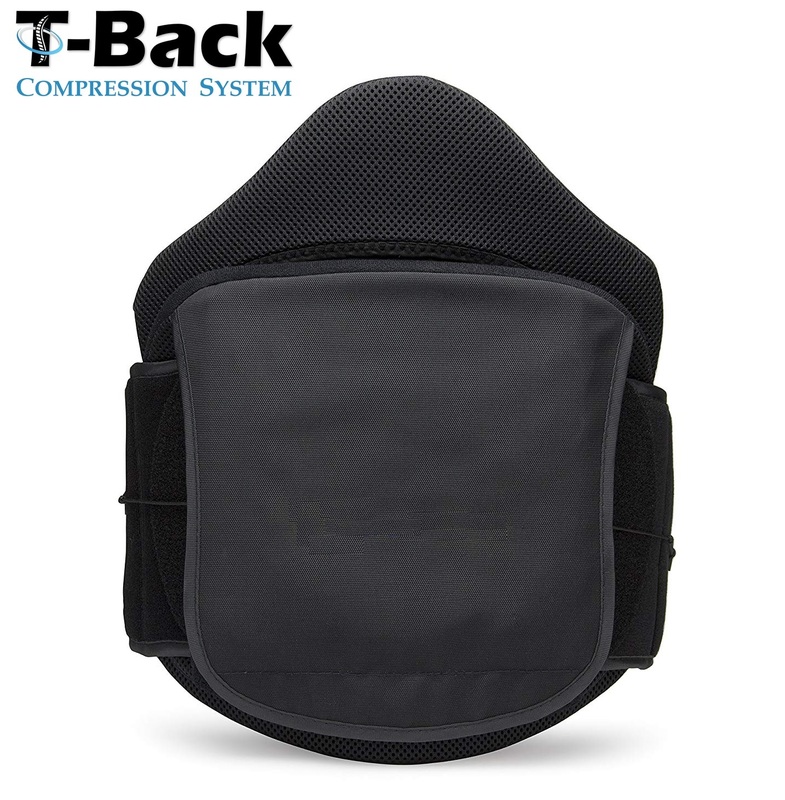 The T-Back’s breathable fabric promotes air flow and helps keep patients cool and dry over long periods of wear, promoting greater overall comfort than the typical back brace. Includes a 15” posterior panel and lateral supports, giving patients extra support for moderate to severe injuries. Universal Fit: One-Size-Fits-Most model which is great in case of weight loss or gain (can be folded in or out, or cut with scissor). Easy to use: Simple adjustment by folding the size according to marking on the inside of the belt, and easy alignment. Effortless control of support and comfort; easy to pull drawstring with hole in the middle, allow for optimal compression. Tailor the anterior and lateral panels to your personal anatomy and conform to your own custom fit. Metal-Free construction for friendliness with medical imaging. 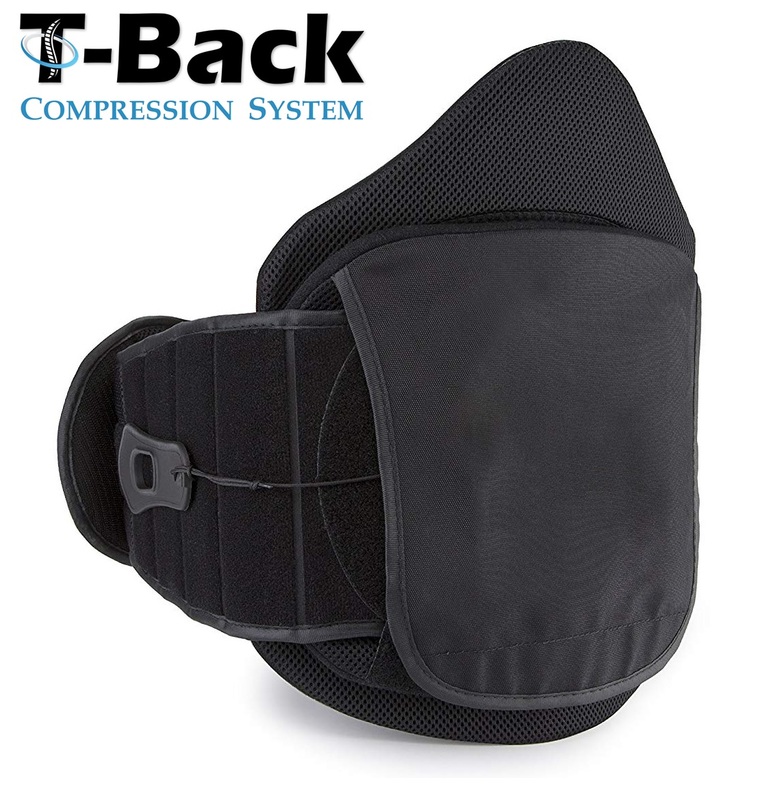 Breathable fabric and ventilated support panels combine to keep the T-Back back brace cool and comfortable to wear for extended periods of time. The T-Back provides stability and support for chronic sprains and strains of the lower spine, spinal stenosis, and post-surgery support. Also provides additional support to the lower spine to prevent any potential future injury. Lay support out flat with exterior view facing up. Open flap and remove both side panels. Attach side panels (SP) on both sides and position back support around waist and make sure back panel is centered on your spine. Hold left panel securely to your abdomen and attach right panel to the left panel. Hold the 2 compression straps and pull simultaneously until proper compression is attained. Remove all panels before cleaning. Hand wash with lukewarm water and mild soap. Rinse well, making sure to remove all soap residues, as it can cause skin irritation and deterioration of the support. Air dry.Do not expose to direct heat or sunlight while drying to prevent shrinkage and damage to the brace. Notice: While every effort has been made to obtain maximum strength, function, and durability, there is no guarantee that an injury or condition will be prevented through the use of this brace. Intended for single-patient-use only. Please use under the guidance of a doctor or therapist. If you experience increased pain while using this product, discontinue use, and consult your doctor as well.